I think about that a lot because it made it much easier to process the end of the relationship by finding fault in our stars. But also because of how my friend, a daily horoscope reader and occasional psychic-seer, put faith in the zodiac — and how quick I was to accept it. But I’m not alone. For many millennials, astrology — despite decades of well-documented debunking — remains a shared and popular language. Today, horoscopes have a kind of street cred and new reach thanks to tech-savvy followers who grew up reading about their signs in the pages of Cosmopolitan. The generational interest in astrology (and other alternative spiritual paths) could be attributed to a variety of factors: information overload, the decline of traditional religious affilations among young people in United States, and the desire — as ever among humans — to find meaning in life. She believes astrology is about a sense of belonging, a mechanism many of us reach for as a means to feel more understood. 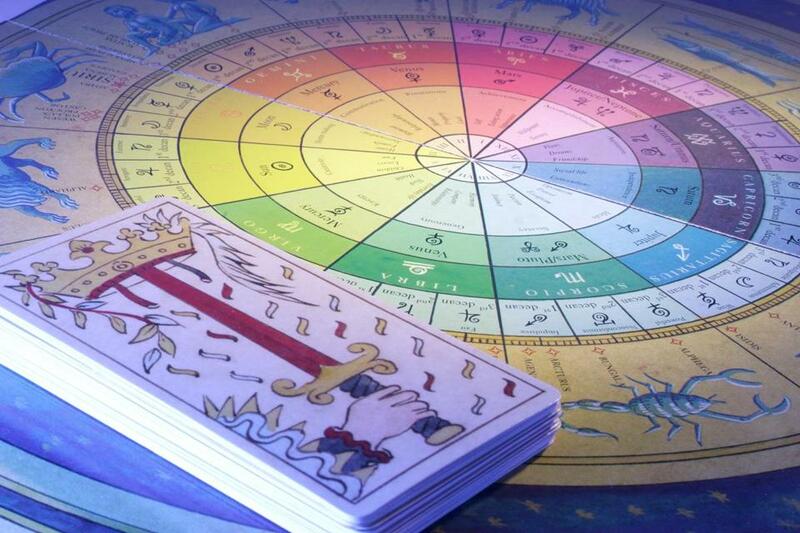 “Most young people don’t use astrology the way older generations did. Instead, [millennials] use it as a tool to define who they are and how they relate to each other,” Guler said. While young people’s access to data is ever-growing, they continue to be astrology’s biggest supporters. The National Science Foundation has repeatedly polled Americans about their attitudes toward astrology, reporting over the years a decreasing belief that the practice can be considered “scientific.” Nevertheless, young people are the most likely to view astrology as scientific, in some way. In 2016, the biggest set of followers were between the ages of 18-34. Still, many young astrology fans see it as less about science and more about spirituality — and compatibility. Erica Feldmann, the owner of HausWitch in Salem, uses Co—Star as an alternative to reading her horoscope. “I’m not a daily person anymore, but I really like that you can add people and see your compatibility with them,” she said. Before Feldmann opened her stylish store, which sells spell kits and Reiki-charged herbal teas alongside other small maker goods, she had a robust online presence through Etsy and a blog. Today, with more than 35,000 followers on Instagram, HausWitch also hosts events and classes, ranging from medicinal potion-making to macrame to tarot workshops. She credits the Internet for providing a way for alternative spirituality seekers to come together. The outlets to connect and educate have changed the accessibility of astrology. Janine Stafford, 28, of Quincy, Intuitive coach and founder of Space (styled S P A C E), a community-focused project to link creativity and activism, is an enthusiastic supporter of consulting astrology for advice. Today, horoscopes have mainstream street cred, technological upgrades. “I run with a powerful group of women who are trying to figure out the tools that are at our disposal, and one of them definitely tends to be astrology,” who Stafford, who credits Susan Miller’s popular Astrology Zone (which boasts 100 million views per year) for piquing her interest. Now, Stafford reads Chani Nicholas, a West Coast-based “web astrologer,” whose intersectional feminist approach has caught the attention of Lena Dunham’s Lenny website and Shonda Rhimes’s Shondaland. “I don’t read my horoscope every day, because I find them to be more predictive. Like, ‘You’re going to get good news today.’ That’s not helpful to me,” she continued. “I like the monthly insights better. Jessica Sutton Maniatis, 36, founder of JSGD, a multidisciplinary studio in Boston, subscribes to Sanctuary, an app that texts a daily personalized tarot and horoscope via Facebook Messenger. She also subscribes to several newsletters and recommends Lindsay Mack’s podcast, “Tarot for the Wild Soul,” which touches on astrology and its effects on the practice of tarot. Rachel Raczka can be reached at rachelraczkawrites@gmail.com.